BOISE — The Idaho Association of School Administrators honored educators and professionals during a luncheon ceremony at the annual leadership conference in Boise on Thursday. Robert Donaldson is the superintendent of the Lewiston School District and has been since 2013. During his time as superintendent, he has positively promoted public school education in the state of Idaho. He continues to be involved in his community and has received a number of awards for his involvement and commitment to the community. Amy McBride has been a principal at Robert Stuart Middle School for five years. During her years at Robert Stuart Middle School, she has succeeded in bringing high-quality learning opportunities to the students by supporting and challenging them. Heath McInerney has been an assistant principal at Mountain View High School for 12 years. During his time at Mountain View High School, he has shown excellence in leadership and works to motivate and support his students by pushing to have a positive culture in the school. 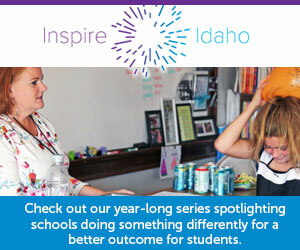 Susie Luckey has been a principal at Idaho Hill Elementary School for 12 years. During her time at Idaho Hill Elementary, she has set a high expectation for strong character and the quality of education her students receive. Jamie Dobson has been the principal of Spalding STEM Academy since 2011. During her time there, she has shown excellent leadership skills and continues to transform her school into an exquisite professional learning community. students by working to improve the overall culture of the school. Jackie Johnson has been the principal at Lowman Elementary School for a year. During her short time at her school she has shown strong leadership skills and fosters positive discussions between staff members. Julian Duffey is the special education director in the Bonneville Joint School District since 2013. During his time in the district, he has been a strong leader and continues to represent the best interests of special needs students and continues to foster success and improvement within his district. Joe Yochum is the assistant superintendent of operations in the West Ada School District and has shown exceptional commitment and leadership skills during his time with the district. His dedication to his district provides stability to the district when it is most needed. The Panhandle Alliance for Education was formed in 2002 with the goal of supporting public schools in the community by raising money to enhance taxpayer-financed programs. Since its founding in 2002, Panhandle Alliance for Education has made grants totaling more than $2.6 million. Thomas Dayley, R-Boise, has worked with IASA on School-Based Medicaid to help schools work through the process of billing Medicaid for services. He has shown excellent leadership while working to bring school based Medicaid discussions into the light.